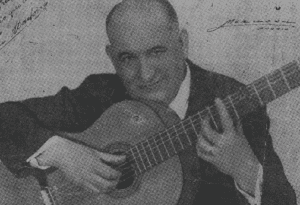 José Simón Ramírez de Galarreta y Pernías was born in 1885. He grew up in his father’s workshop and learnt the trade from him. As well as being a guitar-maker, he was a guitarist. For that reason, at the age of 20 he was contracted to do a 2-year tour of South America. It took a lot to convince his father and to get permission for this tour, but he finally succeeded as two years away was a relatively short period. However, the tour was extended and these two years became almost 20 and once the group with whom he travelled disbanded, he decided to stay in Buenos Aires. There he met Blanca, a Spanish woman who would later become his wife. They had two children called José and Alfredo. In 1923 he received news of his father’s death and he decided to return to Madrid with his family. Two years later he took charge of the guitar workshop at no. 2 Calle Concepción Jerónima. At that time the shop, which was on the ground floor, was looked after by Jesús Martinez, while the workshop, which was on the 1st floor, was used by Alfonso Benito and Antonio Gómez as luthiers, Marcelo Barbero who was still an apprentice and Manuel Rodríguez – nicknamed “Marequi” – who was the varnisher. 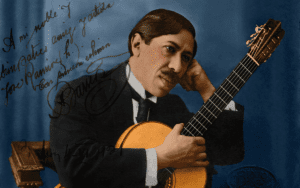 José Ramírez II was also a famous master and in 1923 he received the Gold Medal at the Ibero-American Exposition in Seville. 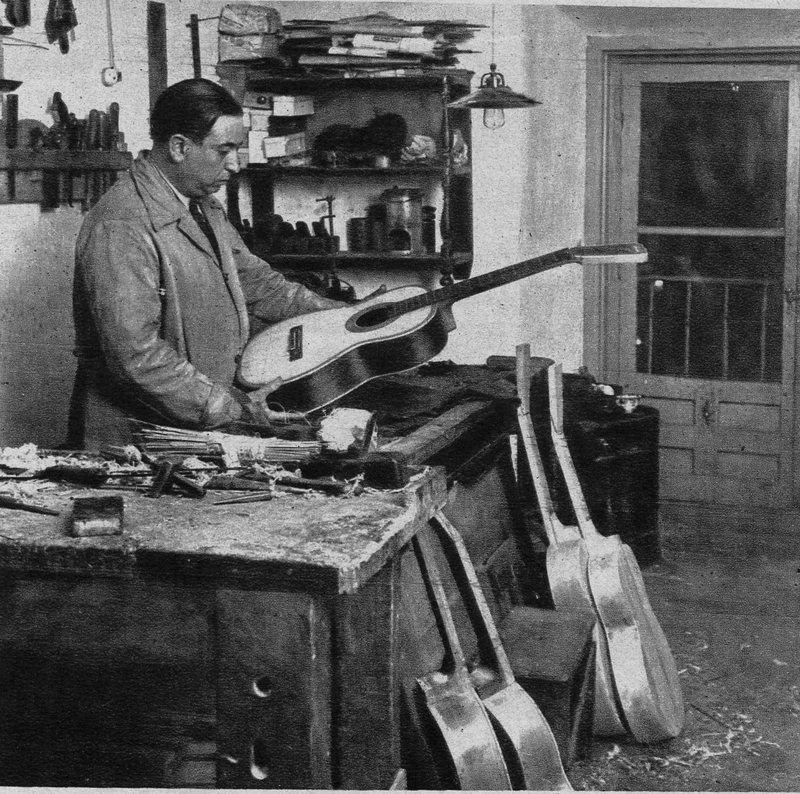 Unfortunately, in addition to all the difficulties caused by the Spanish Civil War which began in 1936, it was very difficult to obtain materials and wood for the manufacture of guitars. A situation which continued for a long time after the war. 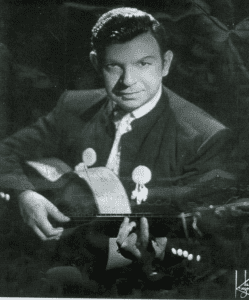 That shortage was the main cause of arguments with his son Jose Ramírez III when he reached the level of luthier and began to carry out experiments.